A lot has changed in 50 years. In 1969 a gallon of gas cost $0.32. The average price of a new home was $40,000. And our own Bruce Coffman was just starting his career in the mortgage business! 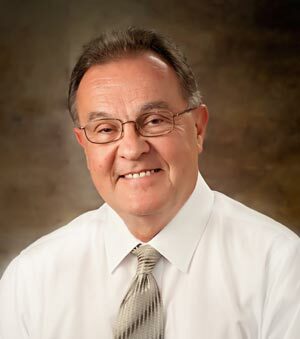 March 2019 marks 50 years for Bruce in the industry and we couldn’t be happier to have his knowledge, guidance and friendship here at America’s Mortgage Resource! If you talk to Bruce today, you’re going to wonder if we’re joking about 50 years. Bruce looks amazing and still has the passion and fire for helping homeowners just like he did 50 years ago. But what’s really great about spending time with Bruce is how much you learn every time he speaks. The mortgage business is relationship oriented – Stop looking for shortcuts and hacks. Instead, focus on paying attention to detail from both your customers and referral sources. A successful real estate business is not developed overnight – The key is developing lots of relationships and contacts. The business will eventually come. Don’t get frustrated when your first efforts at networking don’t bear fruit. It’s a long term process. You have to ask for the business – Many people know how to network and talk to people, but few actually ask for business. The ones who ask are the ones who get it. The “F” word is not an option – If you know Bruce, he’s talking about the bad kind of “f” word (failure). Throughout the years there have been so many challenges that could have been taken as setbacks or roadblocks. Instead, Bruce chose to take them as learning opportunities and refused to give up. Over the last few years, Bruce has developed quite the local reputation in the reverse mortgage community as a trusted expert. But these days, his focus is on private money lending with builders doing renovations. Bruce loves renovation work and would rather focus on that than try to retire. Bruce isn’t much of a golfer or fisherman and he loves the business, so he’s enjoying working on his own schedule doing the things he’s passionate about. Make sure to send Bruce a message and congratulate him on this amazing accomplishment!